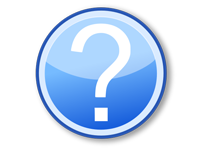 There are many factors that go into deciding which are the best online poker sites. These can be separated between the must haves and the nice to haves. The factors that are the must-haves, things that all great poker sites must have, are the softness of competition and the amount of traffic that a poker site has. First off, online poker sites differ in their relative ease or difficulty in the average skill level of players who play at a given online poker site. These range from poker sites who attract mostly skilled players, who are generally tough to beat and are well educated in sound poker strategy, to sites who are full of weaker players who don’t know anywhere near as much about what they are doing and will make many more mistakes at the poker table. Some players think that if they are good enough, or get good enough, then this stuff won’t matter, or won’t matter as much. Nothing could be further from the truth though. Even if you are the best player in the world, you will simply make a lot more money playing against fish than playing against other good players. If someone is willing to lose their stack pretty easily, and another player won’t pay you off when you get a good hand, it’s not hard to decide which player you will do better against. In fact, at some poker sites, the action is so tight that it’s hard to even beat the rake. Players get forced into playing a ton of tables at once, as even for the best players at the site, the profit potential is so thin at one or a few tables that you have to be very skilled at multi-tabling just to have a shot at even a decent amount of profit per hour on average. And we’re just talking about the top players at these sites, maybe 1 in 10 at the most, and the rest simply lose money over and over again. If you aren’t a profitable player yet, then the challenge to get to the point where you’re making more money than you’re losing, something all poker players aspire to, becomes even all the more daunting of a task. These better players will clean your clock over and over again if you don’t know enough about what you are doing, forcing players who are looking to learn the game to deposit over and over again, and watch their losses rack up more and more as they struggle to get a grasp on what it takes to start turning things around and stop the bleeding. I’ve taken a great many players out of these poker cesspools over the years and shown them much better places to play online poker, and the changes have often been pretty dramatic. First, they no longer get pounded on by so many superior opponents, and then they realize that they are the ones who can do the exploiting now. This process can take a little time, but they have gone from what seemed to be a hopeless situation to one that glows with hope and this light becomes brighter and brighter as time goes on. Finally, the skills that we have worked so hard to develop are paying dividends, as we keep getting better and finally see our efforts being rewarded, and our poker dreams materialize, as we move up to higher and higher stakes and see higher and higher profits accumulate. Of course if you are already a good player then this process will all tend to happen much quicker, and while it’s true that it is good for your development to play against tougher opponents, it’s far better to get this education once you’ve made a lot of money and have finally made it to the stakes you’ve always wanted to play, instead of running into brick walls at much lower stakes. While it is true that at any site you run into tougher opponents the higher stakes you play, there are some sites where the competition is pretty fierce even at the lowest stakes. If you’ve ever wanted to play for some real money, something that we all share in common, if the small stakes are so tough that you can’t even beat those games, you will never get to where you need to be. While these small stakes can be rather boring, going through the ranks is a necessary part of a poker player’s growth. Very few players have the bankroll to start out at the mid stakes, and those who do soon are parted from their money, as they lack the required skills at this point in their education. If you are going to have to start small and work your way up, which you should be doing, needless to say this process becomes a whole lot more exciting and rewarding if you know that your chances are good to progress through the stakes, and in fact, that it is really only a matter of you wanting it enough and being willing to put the effort and the time in to improve, as long as you play at the right online poker sites. So needless to say, the softness of competition is a huge deal, and by far the most important factor as far as what makes a poker site great, or even good. We also need to have enough players playing at a poker site to make it worth our while. There are some online poker sites where the players there are really fishy, but there simply aren’t enough players on there to make having an account there worthwhile. What we are looking for here is poker sites which consistently run the kind of games that we want to play, and when there’s nothing running at our stake, both we and our poker money sit idle. As a general rule, the higher the stakes that we play, the more traffic that we need, but at this point, our bankrolls grow large enough that we can split them up at several sites. So the focus here is on online poker sites that have at least a decent amount of traffic, in order to ensure that there is at least a good assortment and the number of tables running at the smaller stakes, and at least some good action at the higher ones. Many players think that this means that we should only be looking to play at the busiest online poker sites out there, but this really isn’t the case. There are some very busy sites that also have a very high quality of traffic, meaning fishy, and some which do not. There are also some online poker sites that don’t have the amount of high traffic that some other sites do, but have very high-quality traffic, making them worth considering. So the trick here really is to ensure the quantity of traffic is enough, so that we end up with poker sites that have adequate traffic and also have the traffic there be fishy. In the end, all of the best online poker rooms that we have selected for you have both fishy traffic and enough traffic, so you are covered in these very essential areas. There are a number of other things which are nice to have, although, without both the right quantity and quality of traffic, these things don’t even matter. However, if we have both of those essential components working for us, we can then look at these other things to further refine our selections. Poker rooms generally pay players to try them out, by making them eligible to receive first-time deposit bonuses. So depending on how much you deposit starting out, you can get an equivalent amount of free cash. While these deals do differ quite a bit, the important thing to remember here is that you aren’t choosing once and for all here, and can take advantage of several of these deals. So contrary to what some newer players think, the amount of bonus money a poker site offers isn’t really that important, although you do want to make sure that it is attainable. Most deals are, but some make it easier than others to cash out, and we want to stay away from those who don’t give you enough time or make the play requirements too difficult to give the smallest stake players a fair shot. 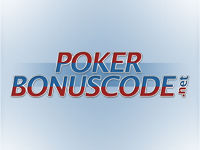 Beyond the initial bonuses, pretty much every poker room has a frequent player reward system, and these tend to differ a fair bit as well. As you play at a poker site, they will give you cash, merchandise, and/or free tournament entries to reward you for your play. Some poker sites offer you more value here than others, and the bottom line as to what is best is always a matter of the combination of how well you do based on the softness of the competition there and the addition of the frequent player or VIP rewards. For instance, if you do poorly at one poker site because the players there are tougher, even generous rewards might not make up for that, and you can actually do better elsewhere even if they didn’t pay out any rewards at all. However, they do, so this wouldn’t be a tough decision at all. All of our recommended poker rooms pay out nice bonuses and rewards and also have soft competition, so you will be assured that your rewards are just that, rewards, instead of an incentive to play somewhere where you really shouldn’t play at. Having at least a decent selection of deposit and withdrawal options is something we need as well. If you can’t find a method that you like to deposit, this is going to make things inconvenient. The same holds true for making withdrawals. This is more of a convenience feature though and the worst thing that can happen here is that you may have to open up new accounts at internet wallets, which really isn’t that big of a deal, but it’s obviously better to have your poker room offer more selection, which gives you more options. The security and trustworthiness of an online poker site is a very important matter, and in fact, a lot of players have come to seriously regret playing at certain sites that have had serious difficulties, or worse. For instance, players at some formerly real big sites like UB, Absolute, and Full Tilt ended up having their money seized and saw the sites shut down. It’s actually not hard to judge this though, and all of these operations were run pretty sketchy, either being famous for cheating players or operating illegally. There are also cases where new rooms don’t really have the proper organization and the long-term viability is in some question. The good thing is that to an experienced eye these less than secure or trustworthy online poker rooms are easy to spot, and you can rest assured that we will steer you well clear of any of them. Having a good amount of traffic is one thing, but it’s also important to have the traffic spread across a good amount of stakes and across a good variety of different game types. So there needs to be plenty of players at our poker site who play both cash games and tournaments, regularly scheduled tournaments and sit and go’s, Holdem and Omaha, and so on. A lot of people think that a poker site’s software is very important, and while that might be overstating things a bit, it’s certainly true that it has to be at least adequate. The software needs to run fairly fast, it needs to be fairly easy to find the tables and games you want with their filtering options, the action buttons and sliders need to be configured properly, and the software needs to be reliable. If things look great with cool graphics and avatars, that’s nice to have as well. On top of the generous rewards that a good poker site will offer, there also should be a good assortment of promotions going on at any given time, to bring an additional level of fun and excitement to playing there, as well as adding some value. All poker sites run promotions, but some are more lucrative and expansive than others. Finally, whenever you need help or have a question that needs to be addressed, good online poker sites need to have a way where you can receive this help promptly and effectively. At the best poker sites, this doesn’t come up too much, and therefore the number of times that you require assistance matters as well. At the best sites, this is rare. Party Poker has been among the top rated poker rooms for over a decade now. They quickly established themselves as the world’s most favorite places to play online poker back in the days when online poker first started, and their dedication to ensuring that their players are more than satisfied with their online poker experience there has been unwavering. The biggest factor in their success though has been their ability to consistently attract and maintain a large school of fish. Party Poker features both tons of traffic and tons of loose players and has always tended to attract a lot of players with lesser degrees of skill. Party Poker has really ramped things up lately on a number of fronts, to make their award-winning online poker site even greater. For instance, they boosted their rewards program from just average to one of the most generous ones out there. So the real rewards at Party Poker has always been a matter of how much you can make off of their fish at the table, but this big increase in reward money that you now will earn certainly makes things nicer. Party Poker also offers an extensive assortment of both deposit and withdrawal options, which is among the very best in the business. Not only that, but Party Poker makes it very easy to figure out which options you can use in the country that you live in, something that can be very frustrating at other sites. All you do is choose your country from the drop-down menu and it instantly displays all of the options that are available to you. 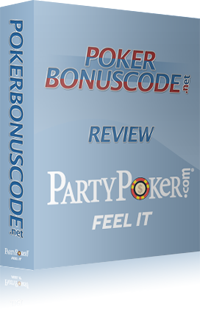 Party Poker’s software had been known as among the least exciting to look at, although it’s always been easy to use. Now it’s even easier to use and also has some of the best graphics around to go with that. While this isn’t all that important, Party Poker has left no stone unturned in their recent quest to be the best at everything. Party Poker also offers several other forms of online gaming besides poker, which allows poker players who are also interested in these other types of gambling to do it all at one site. Among these other choices are casino games, sports betting, bingo, backgammon, and even betting on financials. One of the best things about Party Poker though is its stellar reputation as the internet’s most trustworthy online poker site around. Party Poker’s standards are unmatched here, and they go all out to ensure that both their company and their players’ experiences are as solid and secure as they can possibly make them. On top of all this, they offer new players a nice welcome bonus of matching their initial deposit, to a maximum of 500 of the currency of deposit, regardless of whether it’s U.S. Dollars, Canadian Dollars, Euro, or British Pounds. You can deposit in whichever of these currencies you choose, and if you’re making a larger deposit, you’ll get the most bonus money from the British Pounds option. Overall, Party Poker is an outstanding online poker site, and they didn’t get the huge amount of players that play there by accident. If for some reason you have never had an account there, you owe it to yourself to check them out. Finally, we wrap up our reviews of our four top recommended online poker sites for players outside the U.S. with Bwin Poker. 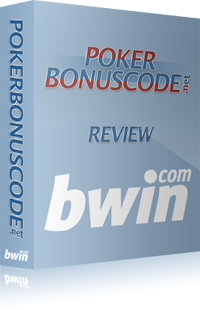 Bwin is a huge online sports betting site which also offers an excellent poker room. Bwin also has connections to Party Poker, as both companies have now merged and are managed by the same parent company, BwinParty. As a matter of fact, it was the people behind Bwin that convinced Party Poker to make the huge improvements to their poker site that they recently implemented. While the poker rooms are separate, both companies ended up putting their heads together as far as what could be done to make each even better, and that certainly worked out very well for both poker sites. Bwin, being primarily an online sports betting site, with over a million sports bettors, is also chock full of inexperienced poker players who are looking to get a little extra entertainment on the side. So as is the case whenever this happens, you see players who aren’t that familiar at all with poker odds and generally don’t know what to play when. So this all equates to more success at the poker table for us, as either experienced poker players who are looking to punish opponents for their bad play, or as less experienced poker players who are looking to improve their game and want to limit the price of their poker education. It’s even more important in fact to play against softer competition if you are less skilled right now. If you are a good player, you can probably make money at any poker site, and playing at soft ones comes down to winning more rather than less. However, if you are currently a losing player looking to get better, it’s a matter of losing less rather than more. Losing more not only will cause you a lot of needless pain, but this may also even cost you your poker life, as most players have limits to how much they are willing to lose along the way. If you run out of either money or patience while learning the game, that could be the end of it for you. So this is why it’s no coincidence that all of our top recommended poker rooms feature soft competition, as, without that, a poker site isn’t even worthy of our consideration. I did mention as well that our poker sites need to have at least a good amount of traffic, and Bwin certainly has that much and then some. Bwin also rolls out the bonus money for its new depositors, where they match your initial deposit in free cash, up to a maximum of $500. The fun doesn’t stop there though, as once you’ve collected that, you move on to one of the very best poker rewards programs around, where you will be generously rewarded for your loyalty and treated like a VIP at the same time. Bwin also has some great tournaments, including some exclusive big money events. BwinParty owns the World Poker Tour so if you ever imagined yourself playing at one of their huge live events, Bwin or Party are the places to earn them at. This gives you an idea in fact how big Bwin and Party together are, as people think of the World Poker Tour as the biggest thing in poker but it’s merely a sideline to this huge online gaming company. When you add everything up, Bwin definitely deserves to be on our list and it’s last but certainly not least in our reviews of our top recommendations for the best online poker sites around. It’s another one of those poker sites that every player really needs to have an account at once they build their bankroll up enough, and is also a good choice as well for players just starting out with a little to deposit. So all you have to do now is pick the top recommendation that you want to start out with, click on our link to them, and don’t forget to bookmark this page so you can come back and try out more of the great deals that we’ve selected for you, at the very best online poker sites in the world. Have fun!